GMO and Star Dawg – The GMO is known by many names. D-Cookies, Chem Cookies, or even Garlic Cookies. With an elite lineage of Chem D and Girl Scout Cookies, GMO has become an instant classic. The name Garlic Cookies plays off of the pungently foul aroma and flavor that this sticky sack expels. Many of those who have had the pleasure of smoking GMO say it’s their new favorite strain. @Skunkmasterflex1 found the keeper plant in a pack of D-Cookies, and it has become a cultural icon over the year 2017. 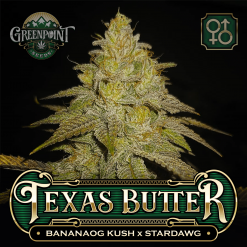 Combining GMO with Stardawg should be mindblowing. Our breeding male has proven time and time again to produce gold, so this early release is for those who cannot wait until the first release. 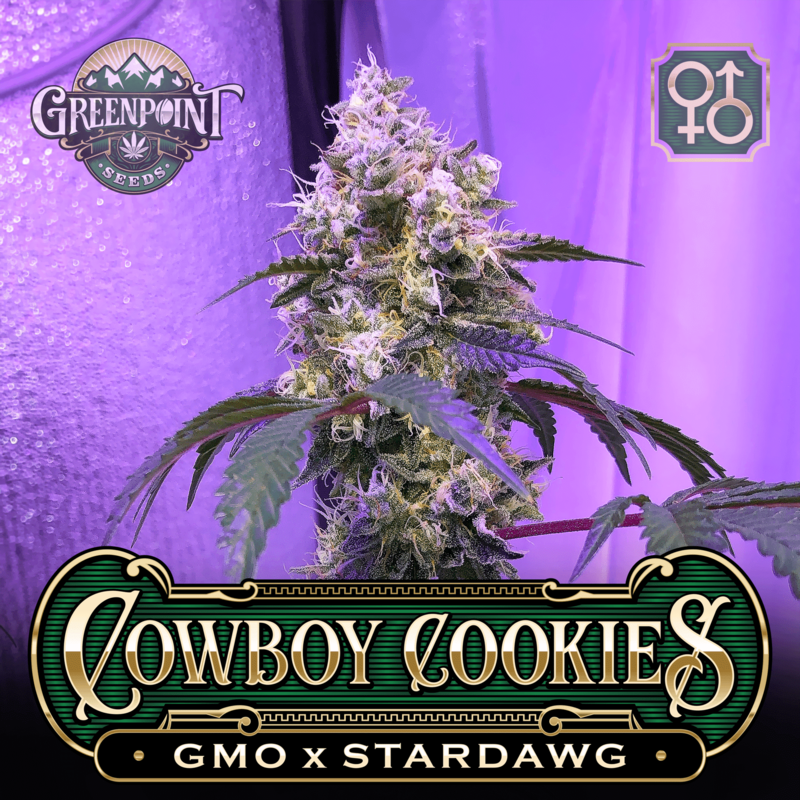 GMO and Star Dawg – The GMO is known by many names. D-Cookies, Chem Cookies, or even Garlic Cookies. With an elite lineage of Chem D and Girl Scout Cookies, GMO has become an instant classic. The name Garlic Cookies plays off of the pungently foul aroma and flavor that this sticky sack expels. Many of those who have had the pleasure of smoking GMO say it’s their new favorite strain. @Skunkmasterflex1 found the keeper plant in a pack of D-Cookies, and it has become a cultural icon over the year 2017. 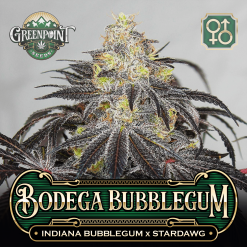 Combining GMO with Stardawg should be mindblowing! The Chem D brings it’a funk to this party with some genuinely potent nose-bleaching-halitosis-stank that pairs perfectly with the Girl Scout Cookies genetics. 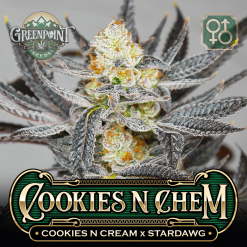 The GSC gives this strain that superior quality hash and some deep purple flowers that the Cookie genotype is known to throw in the progeny. This variety offers everything that you want in your garden. GMO is known for her ridiculous yield not only in the clone version, but she has proven to produce new progeny with the same exact wow-factor. Expect decent stretch the first few weeks of flowering. The plant will start to stack incredibly large colas of premium flower later in bloom. 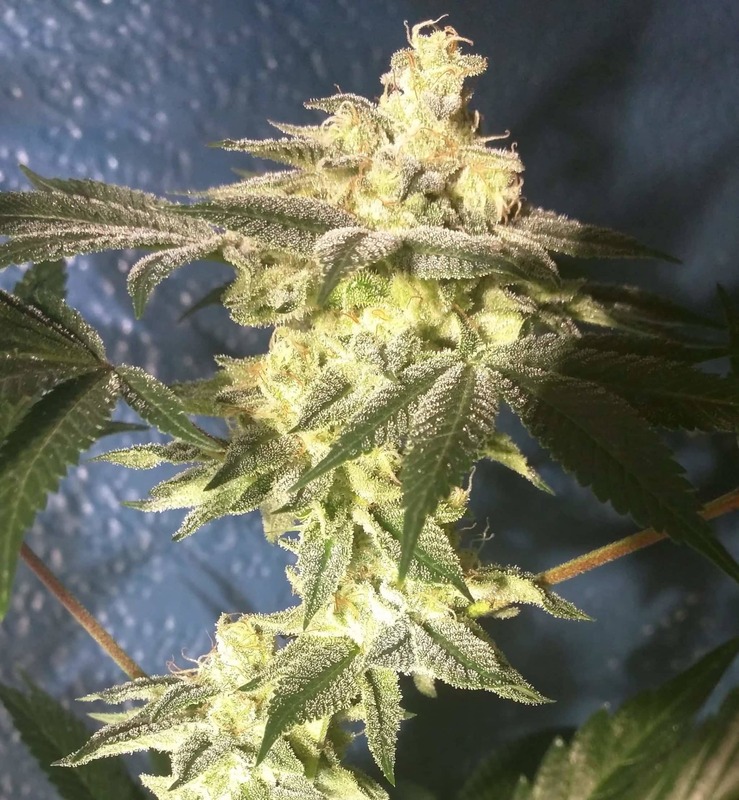 This strain needs to run a bit longer than average in flower, usually around 70-74 days. When harvest comes, you will have your hands full. Every commercial garden in the country should have this variety right now. GMO produces heavy flower yields but also extraction yields that will make all hash makers jump for joy. 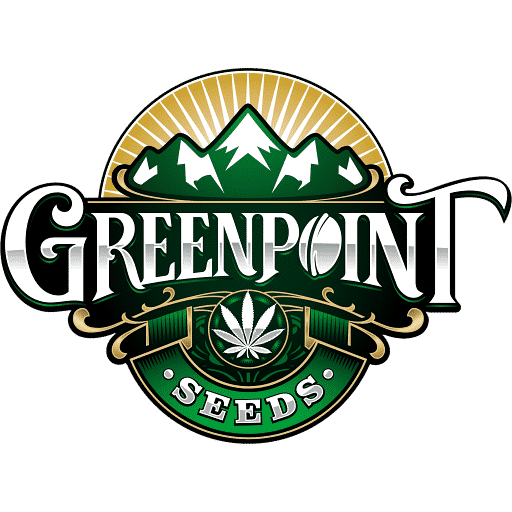 GMO delivers on everything you’d look for in strong American cannabis genetics. She is a great afternoon and evening variety that can help reduce pain, relieve nausea, and stimulate appetite. Don’t miss out on these fantastic seeds. 5 out of 20 people found this helpful. Was this review helpful to you? Wowzers! All I can say! Can’t go wrong wit gmo or gmo’s crosses. 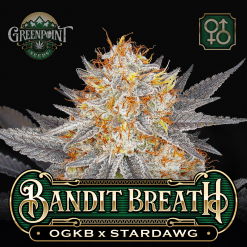 This one had to be a great really potency strain! Cant wait to order these ones ill have keepers!!!!! 2 out of 14 people found this helpful. Was this review helpful to you? I only found one Herm out of eight seeds, so keep an eye out just in case. The three female genotypes I found are absolutely beautiful, however the terpenes leave something to be desired. Kind of like dough with a light rubber funk. Just ordered these, the anticipation is real!